Kitchens Cairns help make it easier to entertain your friends at home. Often it seems that a bbq is the easiest way to feed and entertain your guests in Cairns. Would you prefer to do something different and maybe a little more formal? Have you considered the idea of a dinner party for eight? Cooking up a storm in our very own kitchens is always a winner with family and friends in Cairns. Let’s look at some tips for making sure that all goes well for your dinner party for eight in Cairns. On the night of your dinner party, one of the first things to be prepared for is the early bird guests. Setting up a bar away from the kitchen area which has everything in view that is needed for your guests to to make themselves drinks will be a good start. Make sure that glasses, bottle openers, garnishes, ice and mixers are handy. Most guests will want to be near the host and so will head to the kitchen to chat. Place some nibbles at the far end of your kitchen work top. This will invite them to nibble and chat to you, without being in the way in your kitchen. For those guests who want to help you, have some small jobs ready for them, ie filling the water jugs or putting out the bread rolls. Make sure your dishwasher is empty, so that you can hide your dirty dishes and hopefully avoid your guests feeling the need to start washing up for you. A good way to gently direct your guests to another area, is to send out a platter of significant appetisers with the most vivacious of your guests. Something to remember is that each time you get up from the dinner table to fetch something from your kitchen, you essentially leave your guests. Apart from feeding the guests, the host needs to spend time with them. Do not start cleaning up the kitchen midway through the event. Taking dirty plates to the kitchen is one thing; but once you turn on a tap, you’ve dampened down the festivity. 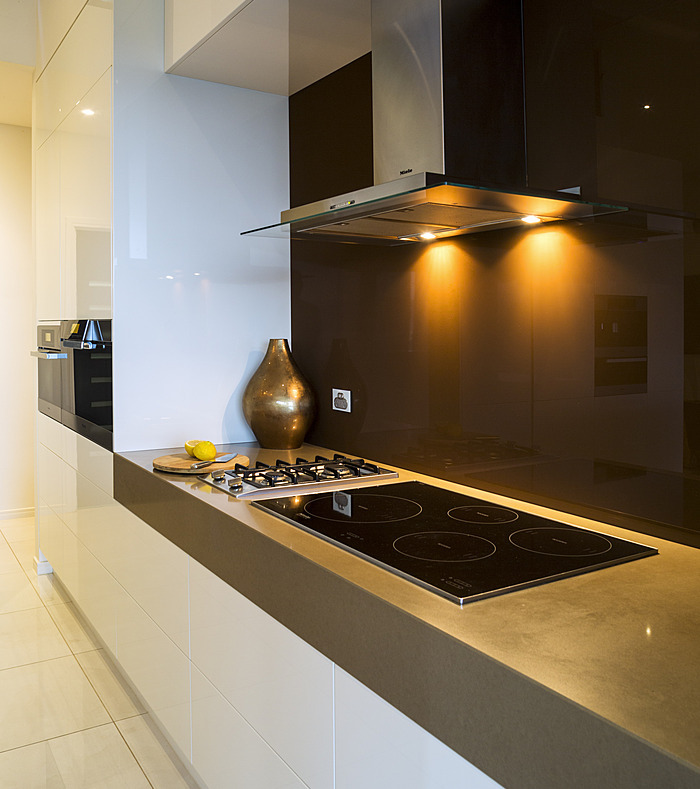 If you love to cook and entertain at home in Cairns, but struggle with your current kitchen design then it could be time to have a look at what we can offer you here at Kilfoy Kitchens Cairns. Kilfoy Kitchens and Cabinets in Cairns are the trusted name in high–quality kitchens & cabinetry design and manufacture. Our design–to–install–service offers you innovative designs with honest, reliable service and advice. Our team are here to help you create the perfect kitchen design that meets your particular requirements. You will be delighted with the end result. You will find that entertaining friends and family in your home with a kitchen design that is functional and party friendly will be so much fun and easy to do. If you are ready to start some truly impressive entertaining at home, give us a call and we will get you started. 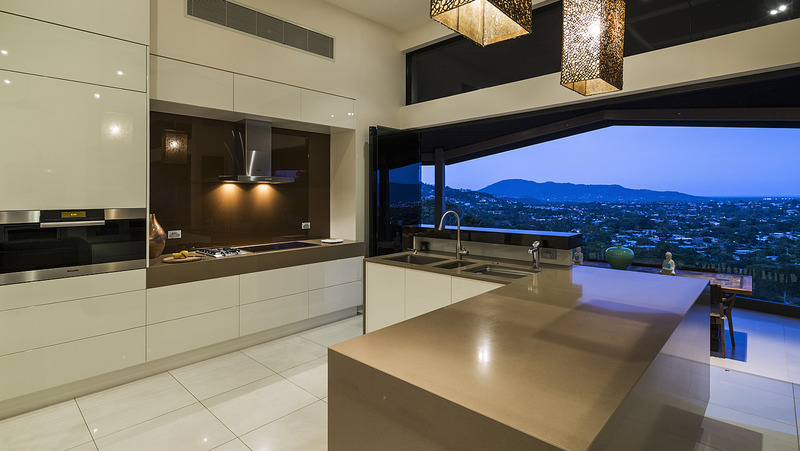 Kilfoy Cabinets are the proud creators of the best Kitchens and Cabinets in Cairns and Far North Queensland.